Hey, you know how I love tacos? Oh you didn't know that? Well, I do. I love tacos. I love tacos so much that if I wasn't already married, I might marry tacos. And have little taco babies. One time a few weeks ago I went to visit my sister, Dana, who lives in Brooklyn. We went out for lunch at this cute taco place near her apartment called Cochinita. When we asked the guy behind the counter (the owner, who's name I forgot) if anything was gluten free he said "Everything! Except some of the beers." 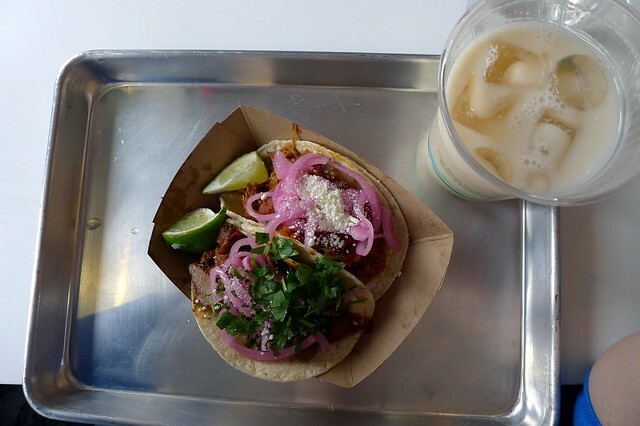 I had beef and pork tacos, and horchata. Dana and I split the tortilla soup and it was good. No one complained when we lingered there for hours after we finished eating, everything was gluten free, and it was delicious and not terribly expensive. Check out their review in the NY Times tomorrow! Yay. Tacos for everyone! I"m with you on the taco babies. Tacos make the cutest babies! 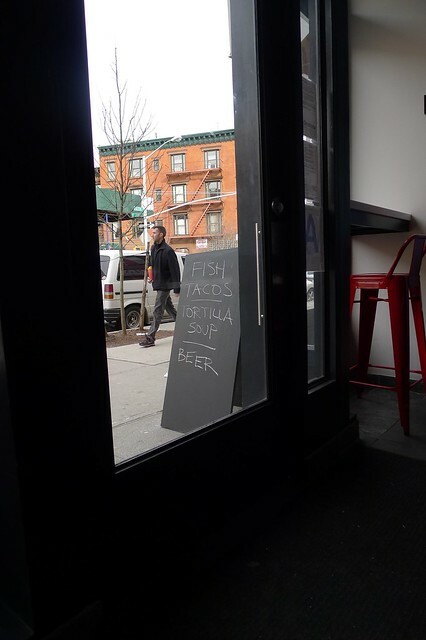 I'd have tortilla soup as my second child. Now I have to fly across the country to go to Cochinita. Thanks. Hey! We miss you! Nothing for almost two months! Where have you BEEN! You had me at "little taco babies." :) I really love your blog - glad I found it. We just got a crock pot and I found it looking for crock pot chicken recipes. The simple, clean layout is a blessing. Nice work and thanks for taking the time to put all these great recipes out there.